When it comes to selecting roof tiles, we all want the very best, don’t we? However, our options are often restricted. As well as being affected by the style of the building and local planning regulations, our budget often dictates our choice of roofing material. Whilst we all know that luxury comes at a price, very often we fall into the trap of discounting some of the more luxurious roofing materials, without taking on board the benefits that a good quality investment can bring. For instance, let’s consider the flooring that is featured in today’s modern homes: compared to this, high-end roofing materials cost no more per square metre and of course, replacement is highly unlikely in your lifetime. By investing in a better quality roof, not only will it last longer and contribute to a higher resale value of the property, it can turn ordinary into extraordinary. Take handmade clay tiles, for example. It’s true; they can be one of the most expensive options on the market – and for that reason alone, they are often overlooked for budgetary reasons. However, when pitched against other roofing materials, they stand head and shoulders above mass produced clay tiles. 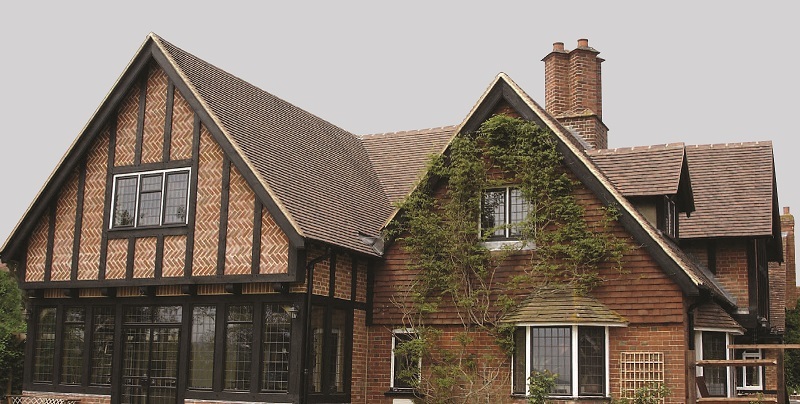 In addition to their long life span, in some cases lasting for centuries, handmade clay tiles are beautiful and elegant, holding their colour well, and adding kerb appeal to any building. Our new SIGnature range of machine and handmade clay tiles is perfect for both new build and RMI projects. A range of great beauty and distinction, this collection offers a life-long investment and low-maintenance solution. What’s more, it is supported by a meaningful warranty that will give both you and your customer peace of mind, backed by the UK’s largest roofing specialists. Featuring Village Blend, Holmbury Blend and Chartham Red, SIGnature Clay Tiles offer a timeless roofscape or façade for any environment. Naturally, all are complemented by a full range of clay fittings including ridge and valley tiles, bonnet hips and angles for vertical tile hanging. Need more information? Then, give us a call on 01480 466 777 and we will happily demonstrate that the wait is over – clay roofing tiles really do offer lifelong luxury. Alternatively, visit www.sigroofing.co.uk for further information and inspiration.